I learned my way around Chinatown in the early 1980’s by following my nose. I was burning shoe leather walking around the small and curving side streets; Pell St., Division St., Bayard St., all around the foot of the Manhattan Bridge. It was always a fun day poking around the shops and stores that were off the beaten path. 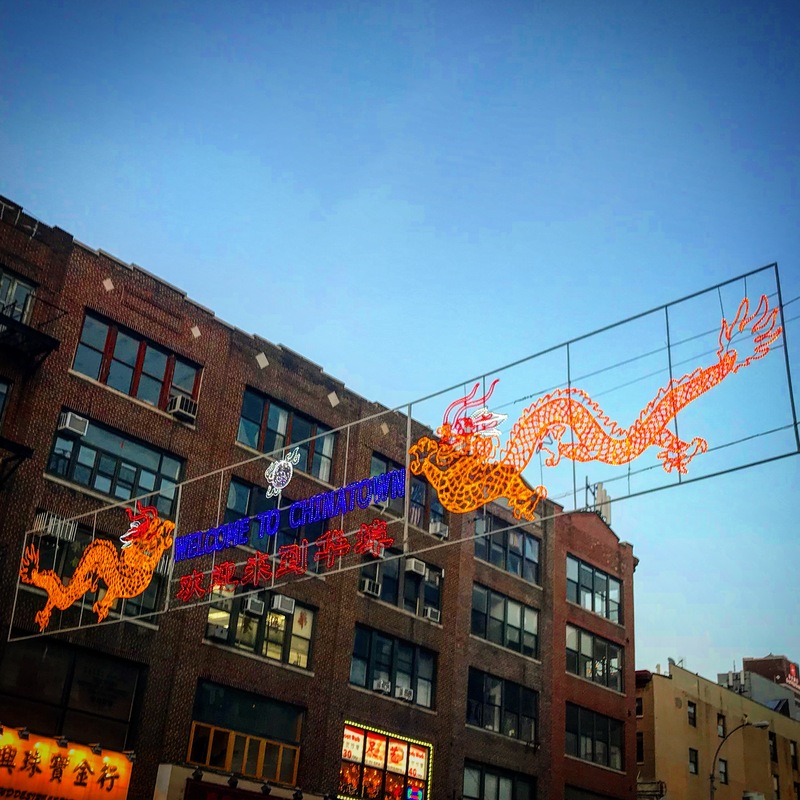 My initiation into the culinary delights of New York City’s Chinatown was a journey that started on Mott Street and then moved towards the new Szechuan places and dim sum shops that were opening around East Broadway. I still love poking around the stores and supermarkets of Chinatown. The variety of meat, fish and prepared foods is remarkable. Introducing others to the wonders of Chinatown is something I enjoy. If they have an open mind and an adventurous palate, we can usually find something they have never tried before to expand their culinary horizons. Big group at Oriental Garden. Jim and niece Laura at Oriental Garden. Oriental Garden is one of our favorites, either for a big group when friends are in town or for a dim sum Sunday afternoon. The service is friendly and fast, the food is excellent.